I am entirely new to Android, but have a little knowledge on Linux. Not all android device support cellar network. As a result, it isn't shown in graph. But which layer is actually cellular networking (and other function related to SIM card) drivers in? 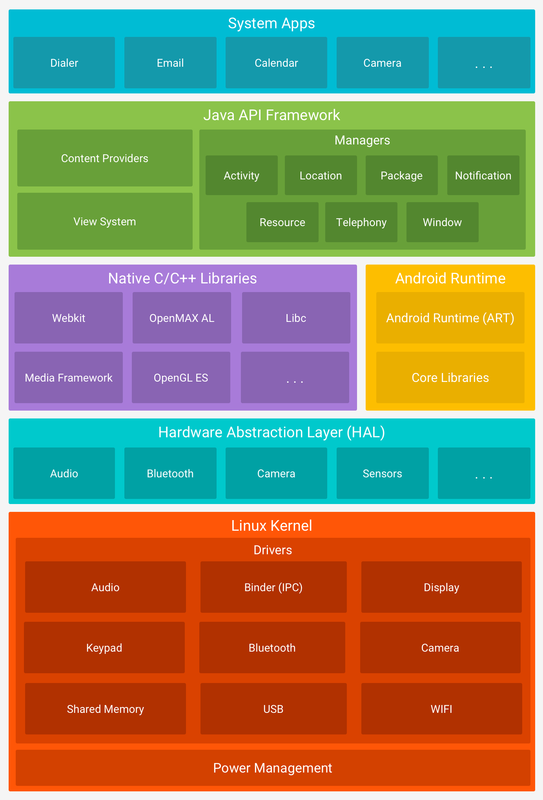 If it is in kernel layer, it means that there should be an independent kernel repository or patch specific for cell phone other that tab computer, smart television and music player. It would not be a good design of architecture and will be difficult to maintain. If it is in HAL, it means that wrong driver won't affect the booting process, instead, it will only make cell phone unable to connect to cellar network. While the other application and GUI should be run properly, because the init system will skip the error units. However, it is actually not true. I have a Samsung Galaxy Note II GT N7108 (China Mobile) (Use TD-SCDMA) which I bought from China. I download and flash two firmware package (Official Samsung ROM for AT&T device and Lineage OS 14.1 for NOTE II LTE). But the result is the same, the device is unable to boot and keeping no change on startup screen. According to the wikipedia link provide by '@Morrison Chang', it is said that NOTE II for China Mobile use Snapdragon SoC. However, it should be noticed that, the model use Snapdragon SoC is GT-N7108D instead of GT-N7108. GT-N7108 use Samsung Exynos 4412 as its SoC.